To help you explore the Weka software and learn about machine learning techniques for data mining and how to apply them, we have put together a series of three online courses that come with videos and plenty of exercises! They are hosted on the FutureLearn platform and are free of charge, but you can upgrade to receive an official FutureLearn Certificate of Achievement to use when applying for jobs or courses. Everybody talks about Data Mining and Big Data nowadays. 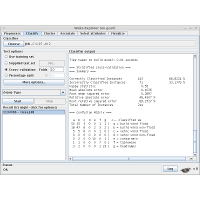 Weka is a powerful, yet easy to use tool for machine learning and data mining. Data Mining with Weka introduces you to practical data mining. More Data Mining with Weka follows on from Data Mining with Weka and provides a deeper account of data mining tools and techniques. Again the emphasis is on principles and practical data mining using Weka, rather than mathematical theory or advanced details of particular algorithms. 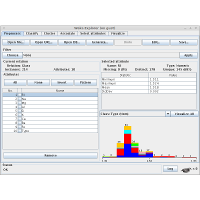 Advanced Data Mining with Weka follows on from Data Mining with Weka and More Data Mining with Weka. It provides a deeper account of specialized data mining tools and techniques. Again the emphasis is on principles and practical data mining using Weka, rather than mathematical theory or advanced details of particular algorithms. 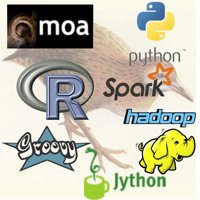 Students will analyse time series data, mine data streams, use Weka to access other data mining packages including the popular R statistical computing language, script Weka in Python, and deploy it within a cluster computing framework. The course also includes case studies of applications such as classifying tweets, functional MRI data, image classification, and signal peptide prediction. Videos, slides, subtitles, and transcripts for the three courses can be found at Data Mining with Weka, More Data Mining with Weka, and Advanced Data Mining with Weka respectively. These are slightly older versions of the course material but the changes are minimal.